We recognize the challenges faced by you, we partner with you. Savills Property Management team have in-depth experience with professional expertise in the area of Estate Management. Our team of multi-disciplinary professionals provides property management and asset management services with proficient solutions, tailored to meet your expectations. Our property management services cover all areas and asset types from large scale shopping centres, residential to industrial portfolios, our team of experts can provide advice on a range of services from strata management to asset management. 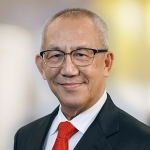 CKH Strata Management (formerly known as Chan Kok Hong Property Consultants Pte Ltd), was founded by strata management veteran, Mr Chan Kok Hong. Mr Chan's vision was to provide his clients with the very best strata management advice and service, on par with international standards but with local knowledge and expertise. Savills Property Management was formed after Savills acquired a stake in CKH Strata Management and merged its Property Management unit with CKH Strata Management Pte Ltd in 2011. It was later rebranded Savills Property management in 2014. 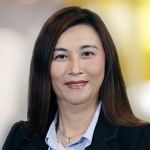 In 2015, Savills Property Management boosts its capability with the acquisition of Ace Body Corporate Management Pte Ltd creating the largest privately owned strata managent company in Singapore. Today, Savills Property Management manages over 43,000 units in 135 properties locally, including notable residential properties such as D'Leedon and The Orchard Residences, and assets such as orchardgateway and orchardgateway@emerald. ISO-9001:2000 certification since Dec 2002 bears testimony to our international standards of practice. Our Vendor List is regularly updated to provide a reliable portfolio of service providers. This allows our strata managers to work with reliable contractors in order to carry out the estate’s work proficiently. "The Manager and Assistant Manager work well as a team. They project proficiency, tact, dynamism and offer quick response to issues raised by residents and council members."